Gamal Hassan is an Instructor at Evolve Mixed Martial Arts in Singapore. 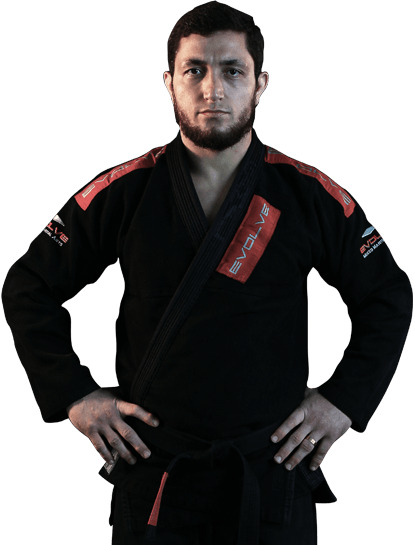 He is a Brazil Nationals Champion in Brazilian Jiu-Jitsu with over 15 years of experience. He is the winner of numerous regional and national competitions in Brazil. Gamal’s favorite techniques are the armbar and the choke. Gamal holds a Black Belt in Brazilian Jiu-Jitsu under Checkmat. Gamal is originally from Brazil. Before finding Brazilian Jiu-Jitsu, Prof. Gamal competed in Futsal tournaments around his city. Prof. Gamal practiced Civil Law in his hometown of Curitiba, Brazil. Marcelo Garcia, Roger Gracie, Rodolfo Viera, and Leandro Lo are Prof. Gamal’s Brazilian Jiu-Jitsu inspirations. Prof. Gamal’s favorite position is the X-Guard due to its versatility. 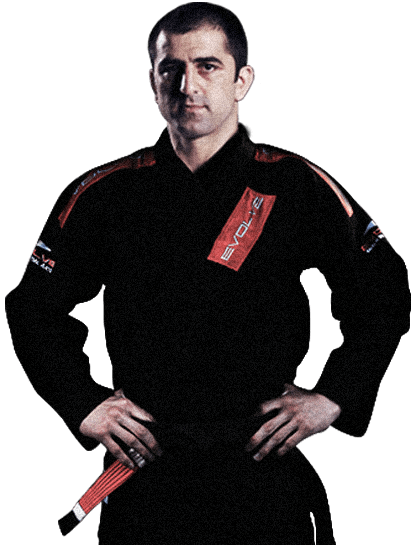 The love of competing is what inspired Prof. Gamal to start Brazilian Jiu-Jitsu.